HARRISBURG – To his mother, Felix Rosado, a Reading man serving a life sentence for a 1995 murder, is redemption personified, an example of why Pennsylvania’s 5,100 lifers should get a chance at parole. In his 22 years in prison, Rosado has earned a liberal arts degree from Villanova University, and wants to be free to share his story with troubled youths, said Iris Drey of Reading, who visits her son twice a month at the State Correctional Institution at Graterford, where he’s imprisoned.At the age of 18, Rosado pleaded guilty to first-degree murder for the shooting death of Hiep Q. Nguyen, 24, whose body was found in a car. Drey blames drugs and the wrong crowd as factors in her son’s life.Rosado has appealed to the U.S. Supreme Court, saying that his attorney failed to tell him he could plead guilty to third-degree murder if he admitted to an “intoxication defense.”Lower courts have ruled against him, but his mother hopes two new bills introduced this week in the Pennsylvania Legislature will one day give her son a chance at parole, at freedom. The rally drew a large number of supporters, many of them members of the Philadelphia-based Coalition to Abolish Death by Incarceration. They filled the Capitol Rotunda and marched through the hallways, singing songs in an attempt to sway legislators. 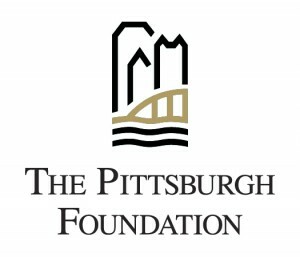 Twenty-five nations have declared life without parole unconstitutional, and parolees have low rates of recidivism, many becoming peer educators, according to the coalition.Taxpayers would save money if lifers who qualified for parole were to be freed, the coalition says: It costs an average of $42,000 a year to incarcerate someone in a Pennsylvania prison.”Maybe (life without parole) worked in old times, but now it’s the time to reevaluate this thing and see what works,” said Rep. Joanna McClinton, a Philadelphia Democrat who supports the House version of a bill to give lifers a chance at parole. Of Pennsylvania’s 5,100 lifers, 65 percent are black and 8.5 percent are Latino, and the racial disproportion can be a factor in whether people outside cities are willing to consider parole eligibility for inmates, some supporters said. “They literally think our loved ones are savage animals,” said Lorraine Haw, a Philadelphia mother whose son is serving a life sentence. “We all make mistakes – they’re just paying with their lives for theirs.”At the rally, Drey held a handmade sign, fashioned from letter-sized paper and ink pen, that read, “Free my son.”While she’s attended other rallies by the coalition, she has not lobbied Berks County legislators on the issue, at least not yet.”People who did not go through what I went through, they don’t care,” she said.